While this may not be quite so polished, it may get you out of a tight spot if you just MUST apply some modifier to Particles…hence they have to be turned to mesh. NOTE: for PFlow, before applying Path Deform, you MUST disable PMesh first, otherwise it will hang. 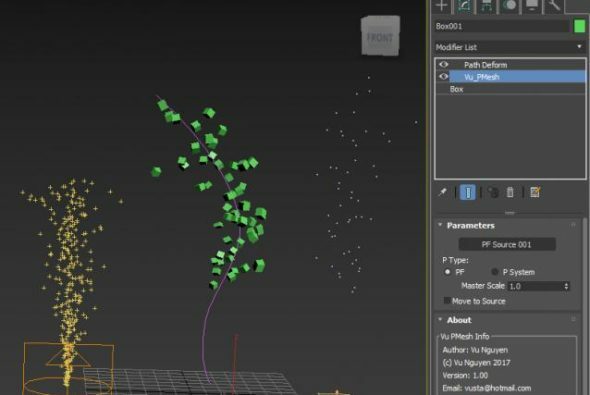 If your Particles are Particle System..then it’s ok you don’t have to disable PMesh first. I’m not a techie guy so dunno why I couldn’t extract the whole Transformation Matrix for Particle System..only their positions. For PF, everything is there..
Other Requrements:2018 ONLY despite what you see above !! !